Social apps seem to be the most popular on our iPhones. They keep us connected, no matter where we are. 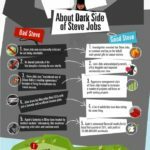 Facebook and Twitter are by far the most popular, and it seems like there is no way to surpass the incredible amount of people on these social networks. There is another sub genre of apps emerging, given us a “one stop shop” to update all our various networks we belong to. We’ve seen this in “Path”, and now another one has come along called “What’s Going Down?“. 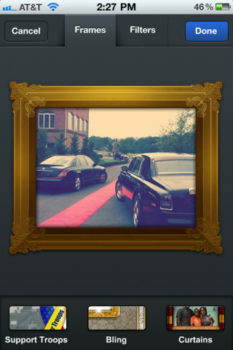 You can check in, posts photos, and update your status on all your favourite sites, all at once. This is the app for telling people What’s Going Down in your world. 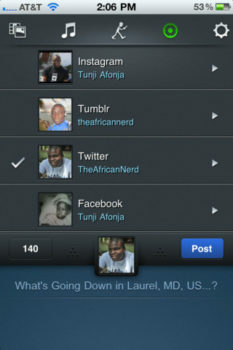 It lets you update all your favorite social networks at once, fast and easy. Forget ever having to open all your different social networks apps just to update your status on each one. Now you can do them all at once. 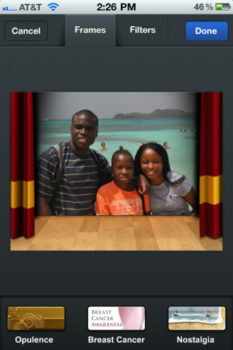 This app also lets your pictures look spectacular with rich photo frames. These frames take your photos to the next level and add an extra level of shine. 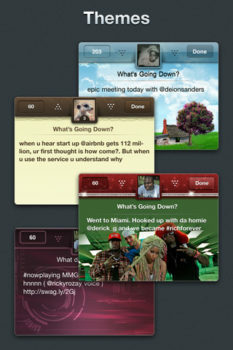 Further more, we have some amazing themes that put you in the right mood as you update your status. What’s Going Down offers the same experience as other apps in this genre, with one feature that may make you choose it above others. 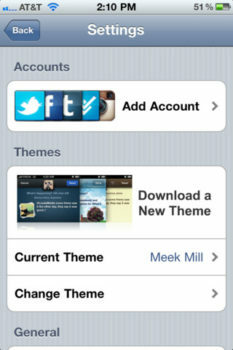 It has the option to apply different themes to the app. It comes with a select few, and you can download more themes via in app purchase. You can download What’s Goign Down from the App Store now, for free.